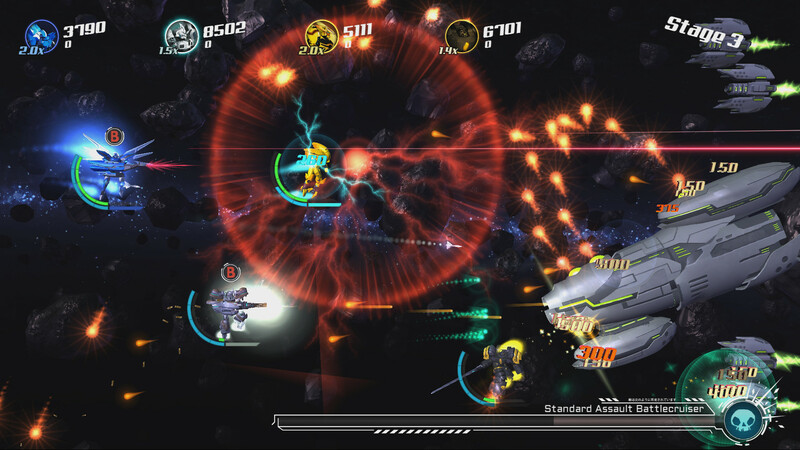 Developer Dreamloop Games has released a major update to Stardust Galaxy Warriors, now called Stardust Galaxy Warriors: Stellar Climax, and we decided to take this new version for a little co-op test spin. Games that feature couch co-op are a dying breed. I may sound like an old timer yelling at kids to get off his lawn, but couch co-op used to be the norm, not the exception. Even in the previous generation of consoles, cooperative multiplayer on one console was easy to find. Now, even previously stalwart couch co-op game series have abandoned it (looking at you, Halo). It’s a shame, really, as there really is nothing like enjoying a game together with people you are in the same room with. Thankfully, as we have seen traditional publishers and AAA titles abandon couch co-op, the indie gaming scene is expanding, and rectifying the problem. Dreamloop is one of these indie developer that values single-system cooperation. They have created Stardust Galaxy Warriors: Stellar Climax, a game that features a type of couch co-op which is as rare as a unicorn these days: four player! Shoot’em ups, or shmups, have a long and storied history in video gaming. Stardust Galaxy Warriors is firmly entrenched in the “fly right and shoot stuff” style. (This phrase is bandied about often in the campaign’s delightfully corny and self-aware dialogue.) 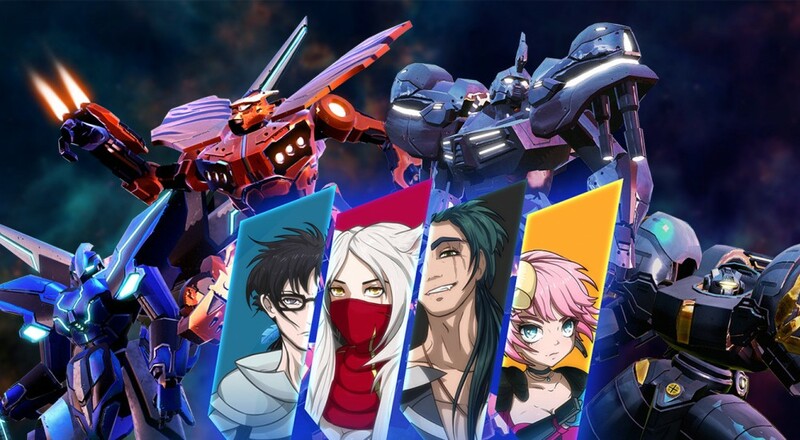 Players can choose from one of five different mechanical robots to fly around in, using dozens of different combinations of weapons to destroy hordes of lesser enemies before encountering giant bosses with enormous health bars. It’s a simple formula, and hardly innovative, but it works very well. Stardust Galaxy Warriors greatest strength comes from the customization of the mechs. The five mechs all fulfill different roles, ranging from a “glass cannon” artillery to a slow, tanky melee beat stick. There are a slew of weapons to choose from, and each mech can use two at a time. All of the weapons are unlocked from the beginning, there’s no grinding to get something that better suits your style. I was pleased with the variety of the weapons; they all feel unique, as well. Your strategies will differ depending on what you are packing. On top of all this, in the campaign, you earn credits which can be spent to upgrade your mech in all manner of ways. It’s a customizers dream, and also adds to the replayability as you want to try out different builds to see how they work. Page created in 0.9374 seconds.